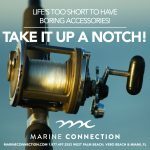 Summer in South Florida is fast approaching and to kick-off this season of sun, Marine Connection will be hosting a Memorial Day Weekend Open House. 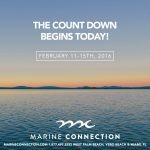 We invite you to visit with friends and family, take in the festivities, and board as many boats as you can! 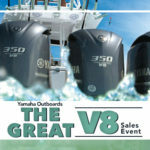 Compare boats at your leisure while you examine each one in person. 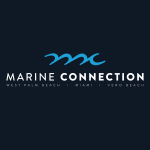 Discuss your wants and needs with our Marine Connection experts who will answer any questions you may have. 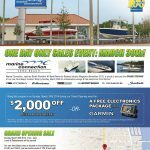 We’re going to have some exclusive offers for this event, like our New Boat Blowout Sale, where we’ll be providing deep discounts on all new inventory and our One-Day-Only Accessory Promotion, where we’re giving everyone who buys a boat a free instant rebate of $500.00 cash towards their electronics! 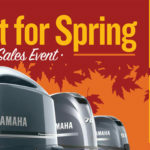 Register to win a free Yeti cooler, attend a free Fishing/Casting Seminar, and grab some FREE Yamaha gear while you’re here. The address of our West Palm Beach dealership is 2807 S. Military Trail, West Palm Beach, FL 33415. “Yamaha Fishing for Warriors” has been made possible through the Guy Harvey Ocean Outreach Fund, and the generosity of Yamaha Marine, and Costa Del Mar Sunglasses. This Program is an ongoing Florida-based initiative that welcomes home returning U.S. warriors by hosting them on recreational fishing trips on Florida waters. Promoting the contest through the Florida Sportsman Radio Network’s broadcast stations, listeners call in to the show on select Saturdays (starting in April) and one listener is selected every week from each of the 3 stations participating in the project. Check out this Event and more on Marine Connection’s Facebook Page! For more details on the “Yamaha Fishing for Warriors Program, visit the Florida Sportsman site here.